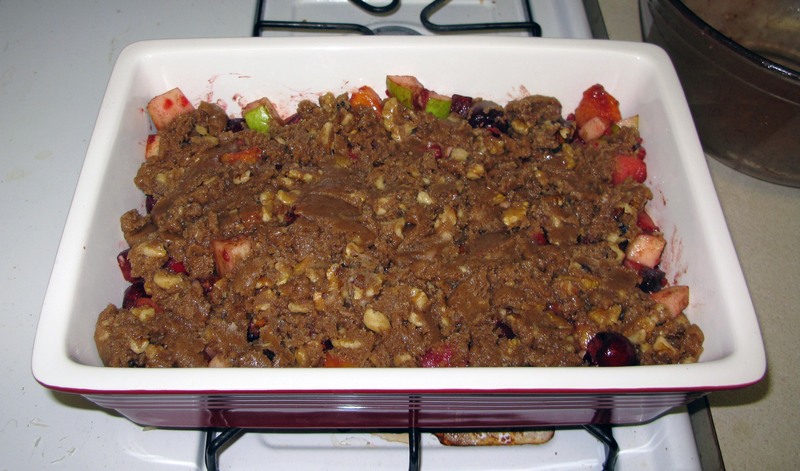 The Avengers’ Summer Fruit Crumble | I Wanna Bake! According to the IMBD summary, “Earth’s mightiest heroes must come together and learn to fight as a team if they are to stop the mischievous Loki and his alien army from enslaving humanity.” I’m not going to talk a whole lot about the plot this time around. Suffice it to say that Thor’s brother Loki, the trickster, introduces Earth to the rest of the universe and generally causes mayhem. The heroes we’ve met in the previous five movies team up to put a stop to that and send it all back from whence it came. The whole thing is big and impressive and a lot of fun, and parts of it were filmed in my city, so it was fun to see it in the movie theater and hear the other moviegoers’ comments when the Cleveland bits came up. This is the movie that all the previous movies in Phase 1 had been leading up to, and I’ll admit that it had me hung up for awhile. I wanted to do something grandiose and befitting of the ensemble cast mega-blockbuster that I love so much. My original plan involved a whole lot of pieces, and I wasn’t quite sure how I would fit them all together. I’m not going to reveal what it was right now, because I’m hoping to still do it, but I will say that it was partially inspired by bread week on the Great British Bake Off. Maybe we’ll see it for Rise of Ultron (or some other weekend when I feel inspired to make ridiculous bread). 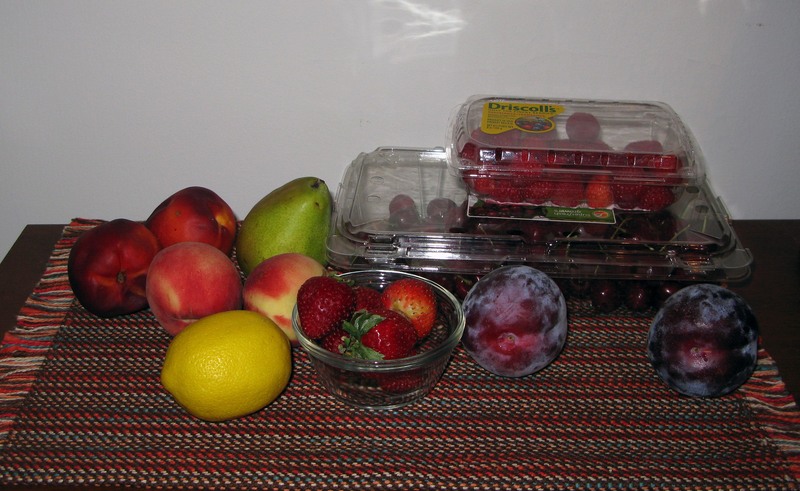 You’re looking at nectarines, peaches, pears, lemons, strawberries, cherries, raspberries, apriums, and plums. Pretty much all of the summer fruit. How are two people supposed to eat all of this before it turns into unappetizing mush? The answer to that and the answer to my Avengers bakeventure struggle are the same: a mixed fruit crumble. So, let’s talk about fruit. I had quite a few varieties hanging around at various stages of ripeness. 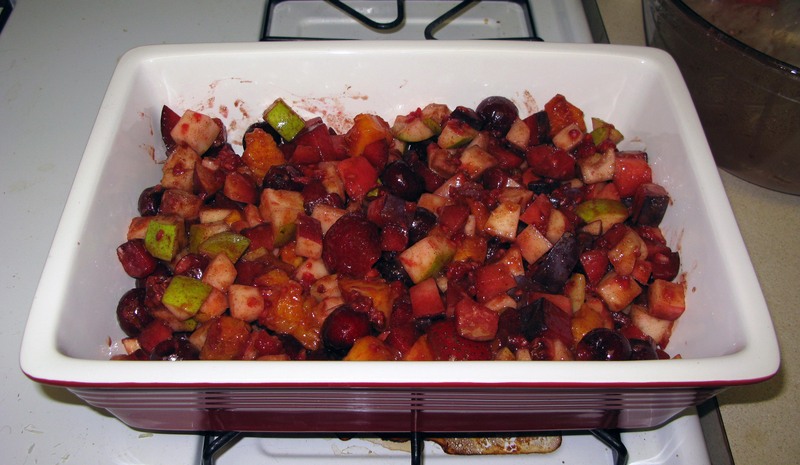 I decided that it was best to cut the firmer, less ripe fruits into smaller chunks than the softer, riper fruits so that the texture was more uniform after it baked. Strawberries, raspberries, and cherries went in whole or cut in half if they were particularly big. I didn’t peel anything because most of these fruits have fairly soft skin (and I’m extremely lazy), but if I did this again, I’d probably peel the pear. I wasn’t completely sold on the spices when I first tried this, but the flavors blended better after two or three days in the fridge. Ginger can be a bit hit or miss sometimes, so if you’re not a fan, you can leave it out. I like to use it when I’m working with peaches and nectarines, so if you’re not using any, you might want to substitute a warmer spice, like cloves, or just avoid it entirely. You could also add a teaspoon or two of vanilla or almond extract, particularly if you’re using a lot of cherries or plums, to add a nice mellowness. One thing that didn’t turn out as expected was the crumble topping. I’ve done this before successfully several times, so I’m not entirely sure how I managed to do what I did this time. 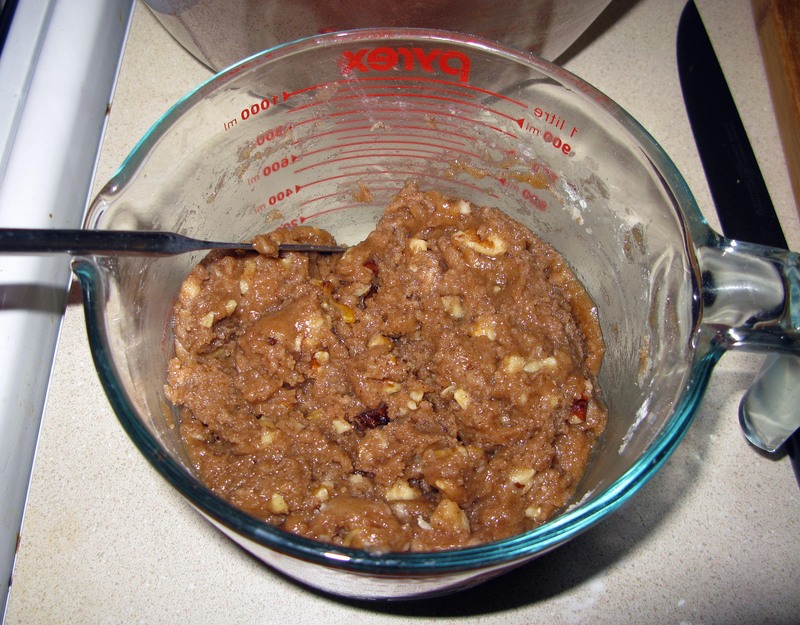 Instead of forming crumbly balls of tastiness, the mixture came together to form a sludge (of tastiness) with a consistency similar to cookie dough. I think that happened because my butter was too warm (or I just used too much butter), so if I did this again, I would definitely give it more time to cool. You could also trying more like pie crust and just cut the butter in until you have pea-sized balls. Either way, it still tastes delicious. 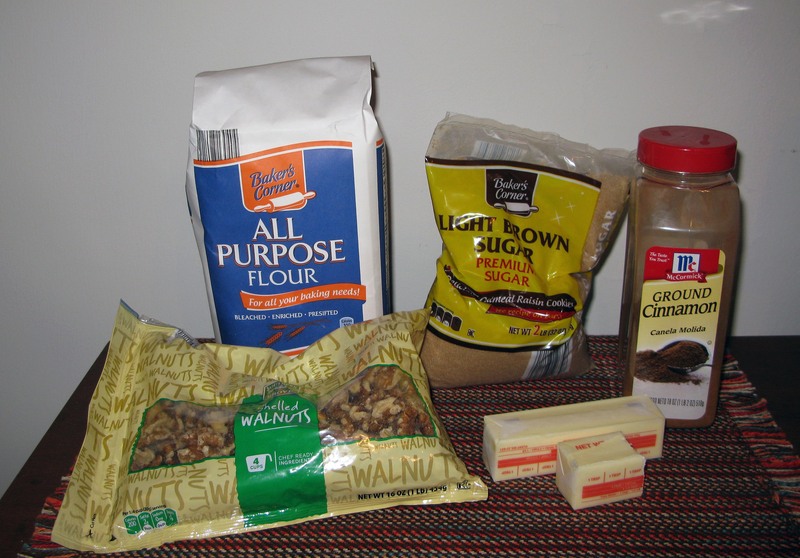 I had Live to Rise by Soundgarden stuck in my head for some time after watching The Avengers (the first time and every time thereafter), so I will suggest that as a jumping-off point for this bakeventure. If you want something a little less… moody, you can stream the movie soundtrack with Amazon Music Unlimited (or find it on Youtube) for a more triumphant vibe. If you haven’t already, chop all of your fruit, peeling any that has a tough peel first. 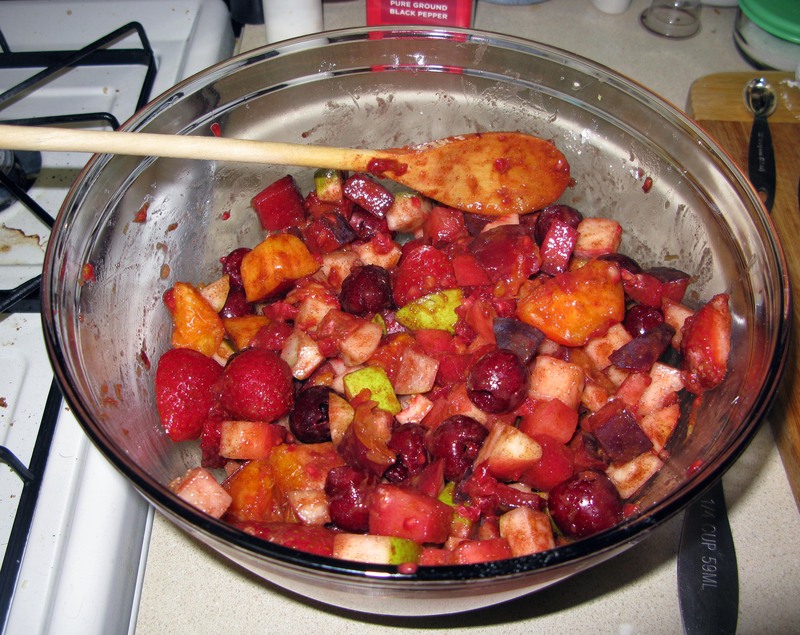 Chop firmer pieces of fruit into smaller chunks, and more ripe fruits into larger chunks. [Helpful note: a melon baller works really well to remove the seeds from fruits like pears and apples.] When you have 8 cups, add the lemon juice and zest and toss it all together in a large mixing bowl. 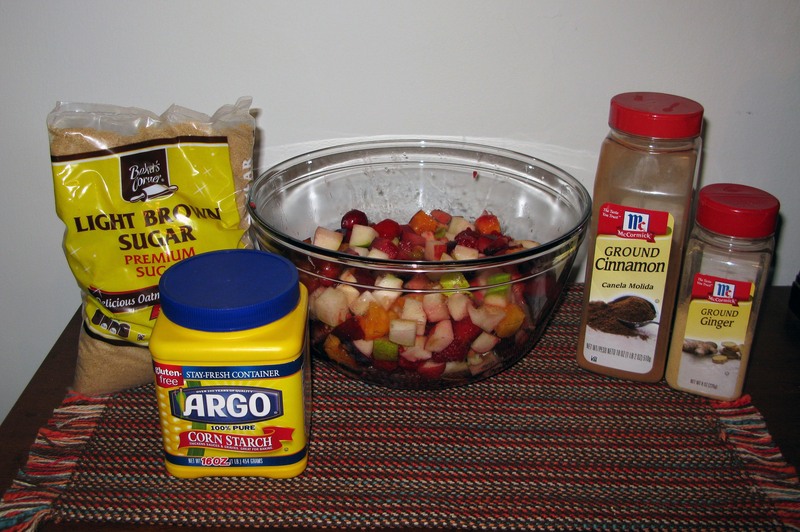 Stir in the brown sugar, cornstarch, cinnamon, and ginger (if using) until the fruit is well-coated. Spread the fruit evenly in a 3-quart baking dish (I used the largest one from this set, which has some kickass lids that I love). 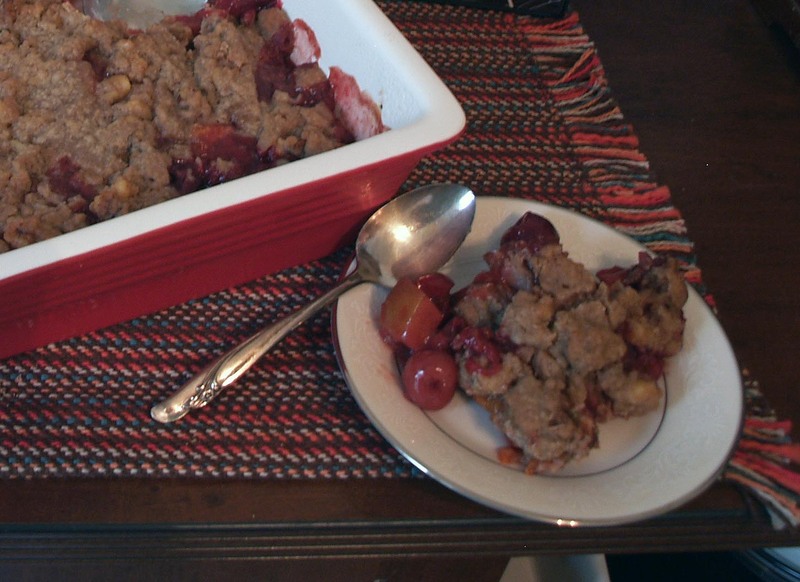 In a separate bowl, stir together all of the crumble topping ingredients until the mixture looks… crumbly. As you can see, mine looked a bit more like a thick goo. That’s probably because my butter was hot right out of the microwave, so make sure to cool your butter a but before mixing. It turned out fine, but my final crumble topping was more of a giant piece of crumble armor. Sprinkle (or spread, depending on the consistency) the crumble topping across the top of the fruit filling. Bake the crumble for 40-50 minutes, or until the topping has browned and the filling is bubbling up through it. I know this part is hard, because your kitchen smells like pie right now, but let the crumble cool completely before serving (this will take at least 4 hours). If you don’t, it will be more like fruit soup. You can always warm up the servings after cutting. Cover and refrigerate any leftovers for up to a week.